Welcome to the exclusive one-stop network for the Black and Asian community. 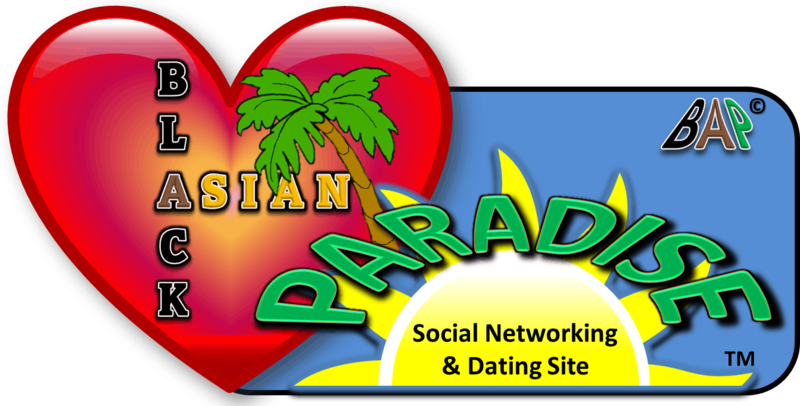 Black Asian Paradise™ is more than just a dating site — We offer a wide range of services including dating advice, events, social networking for meeting new friends, and more! We provide an easy-to-use, highly effective, and quality service to assist the Black and Asian community in creating thousands of meaningful connections all year round. Narrow your search down to what matters the most to you & save your search preferences. See someone you like? Add them to Favorites. Send flirts to other members so they know you are interested. Chat in live time with other members. Match quickly with other Black and Asian singles. Correspond with others while maintaining your privacy. Hang out in any of our live chat rooms or break away for a private chat. Plan or attend fun events for the Black and Asian Community. Read dating tips and articles from our experts. Don’t speak their language? No problem! BAP has you covered with chat translations. We make finding “the one” fun and simple, connecting you with members from all around the world! It’s easy to join. Click the button below to get started. Black Asian Paradise™ (BAP) is a Black and Asian online social community. We open the doors for Black and Asian singles, couples, and families to support, mingle, and interact with one another in a friendly, active environment. Disable adblock in your browser and refresh the page to continue.